I remember the moment I saw the first tower crumble. I never watch TV in the morning, but the news that wakes me up every morning was alarming. The TV was on in a flash and the first tower was smoking with an aircraft stuck in it. Like others, I watched in horror as the second tower was struck. That seemed horrific in itself, but it wasn't long before the crumbling started. My first words were - Oh my GOD - There are a ton of rescue workers who just piled into that building! There were no other words, just tears. Keith Alexander Glascoe was one of those firefighters on the scene. He'd packed plenty into his 38 years, but not enough. Born 12/9/62 in San Francisco, it's clear he was the strong, athletic type. I don't know when his family moved back east, but he played football at Midwood High School in Brooklyn. According to all records I've found, he started playing as a youngster and never lost that connection. At 6'4", 270#, I'm quite sure he picked the right sport. After graduating from college, he pursued more football and some did some acting as well. His role as "Benny" in The Professional with Gary Oldman was a highlight from that period. He married Veronica Squef in 1996 and was father to two sons, Nolan and Owen. They were expecting his third child when tragedy struck. Keith Jr. will not know his father's arms, but through his family, (and the internet), he will learn of his father's legacy. There are links and links with wonderful memorials dedicated to Keith. Some written by people who had the privilege to know him. Some informational sites. Check them out. See what this man brought to the lives of others and to our country. Leave a message. It's been 5 years. Look around you now and appreciate the people you have the privilege to know. Appreciate those who have touched your life in some way, and those whose lives you've touched. Appreciate those who have touched your life in ways they can't know. Keith is one of those special people who have touched my life, long after he gave his. I am privileged to honor him in whatever little way I can. Thank you, Keith. Please feel free to comment, add more detail, remember, honor this wonderful man. I participated in 2996 to honor the memory of all those fallen in the terrorist attacks. http://www.dcroe.com/2996/ for more tributes to other victims of 9/11. We cannot ever forget them. I wrote about a brother of Keith's at Ladder 21, Gerard Duffy. You wrote a lovely tribute. 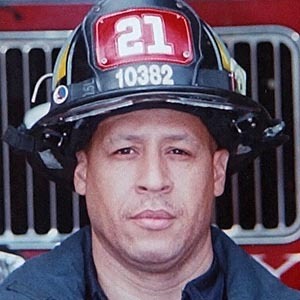 Stop by my page and leave a comment so people can come here and read about another brave member of Ladder 21. Keith was a wonderful young man. Thoughtful, caring, full of consideration for others; a gentleman through and through. People usually cannonize folks and make them saints when they die, when in reality they weren't that great at all. Everything I said about Keith is absolutely true. Mr. & Mrs. Glascoe did a wonderful job raising him. To the sons of Keith: Your Father was a gem, there will never be another like him; be good to your Mother. I totally agree with "Anonymous". Keith was a good guy; I know he was a great husband and a wonderful father. Mr. & Mrs. Glascoe what I am about to say is true: I model how I want to send my son out to the world by the example you set with Keith.